Autodesk HSM is a CAM software mainly used for automating the manufacturing process. It integrates with the CAD tools like Autodesk Inventor, Fusion 360 and Dassault Systemes’ SolidWorks. 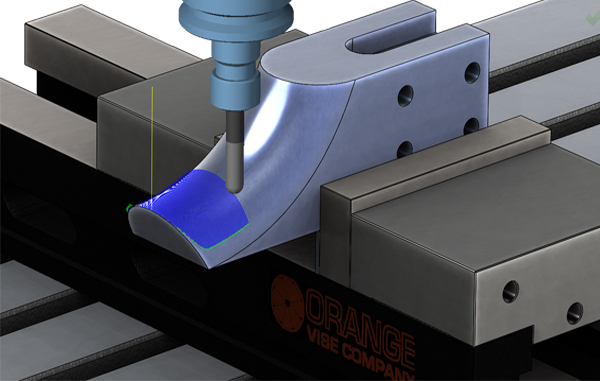 The design developed in CAD software is the input to CAM software like the Autodesk HSM. One can develop 2.5, 3,4 and 5 axis CNC programs in HSM that will be used for guiding machines while drilling, machining, milling and grinding the perfect workpiece. The course focuses on the integration of CAD/CAM solution for the manufacturing industry. It will begin with the introduction to the HSM interface and will take you through the manufacturing operations like face milling, drilling and 3+2 axis machining operations etc. HSM integrates closely with Autodesk Inventor, Fusion 360 and SolidWorks. Therefore learning HSM will complete your CAD/CAM understanding. We see automation everywhere these days and the same trend has taken shape in manufacturing industry where your designing part is being done by CAD software and machine control to carve out the perfect work piece is being done by CAM software like HSM. This trend is only going to continue in future, creating high demand of CAD/CAM trained engineers. Wizcrafter equips you with the know how of integrated CAM operations. Wizcrafter meets all the stringent standards set by the world renowned leader in CAD- The Autodesk. Indian market is one of the fastest growing in CAD/CAM adoption across the manufacturing industry and we have proven our mettle in the Indian market by providing quality training to our students. That is why we are the preferred training partner by leading MNCs. A great career is built by doing great work and for that you need competent skills, expert guidance by industry veterans and of course passion to continuously learn the trending technology. Wizcrafter will ensure that you get all of that under one roof. Your association with Wizcrafter will give the required boost to your career. We stand by our words and will not give you any opportunity to rethink your decision of choosing Wizcrafter as your learning partner. The minimum qualification required for learning HSM is having a 10+2 formal education. A background in manufacturing industry will be an add on when applying for jobs. However having the passion to learn HSM is the most essential qualification of all. In this rapidly automating world your passion to learn the new technology counts more than anything else.